In 1947, Victor Hess — a professor at Fordham University in the Bronx who won the Nobel Prize in Physics for his discovery of cosmic rays — needed to find a convenient location "to carry out experiments on the radiation emitted from rocks at a location well protected from cosmic rays." He asked the Board of Transportation if he could conduct his experiments in the 191st Street station, its depth inside the hill preventing the vast majority of cosmic rays from reaching it. 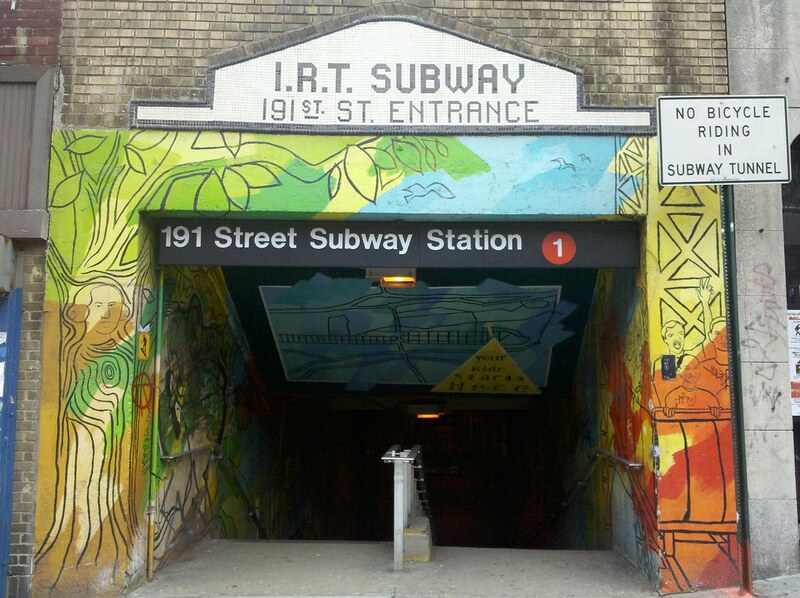 While he didn't end up using this station, he did set up shop in the nearby 190th Street station on the A line, which is also buried deep inside a cliff, about 160 feet below ground. Nice workout for those who take the train to work.